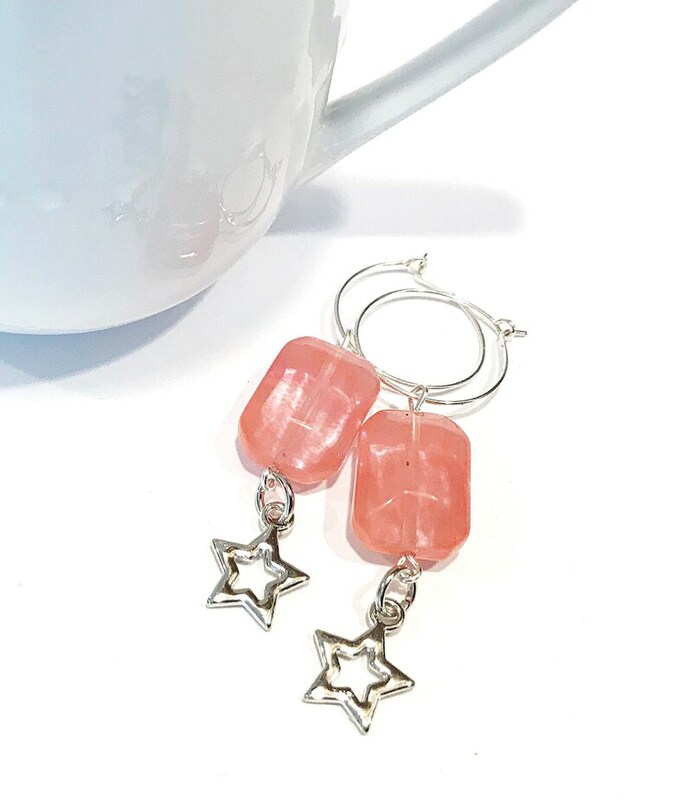 Original celestial inspired design combines a star charm and oblong faceted cherry quartz with a small silver hoop for unique one of a kind statement earrings. Hoop measures 20mm in diameter or 0.78in. It is silver plated and closes by a latch mechanism. Cherry quartz beads are 13mm wide by 18mm tall or 0.5in wide by 0.7in tall. The star charm is silver plated. 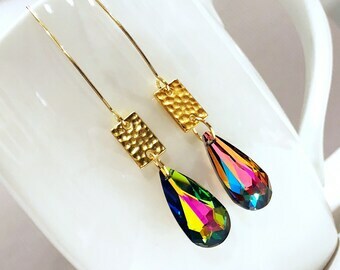 Total length of earrings is approximately 2.25" or 57mm long. Comes packaged with a heart shaped earring card inside a kraft jewelry box perfect for gift giving. Gift wrap is available at checkout for an additional fee. Ready to ship item, ships in 1-2 business days via first class mail generally unless otherwise noted on the site. Thank you for supporting a handmade business!